How many times a day do you say thank you? Just for a bit of interesting fun, count the number of times. Using the phrase seems to be a form of social grease….pleasantries and niceties we us as we go through a normal day. It seems almost like a reflex when someone holds the door for you, provides you with some kind of service, or answers a question you’ve been pondering for a while. Sometimes it’s just a quick “thanks” when you’re in a hurry, and can be just a nod of acknowledgement or a smile. As an experiment once in a while, add eye contact, and see what happens. With all the “bad news” by which we seem to be besieged daily in all its variations, take a moment to remember that most, if not all, cultures have a way of expressing gratitude. In my opinion, it’s the glue that keeps the rest of us from creating more “bad news”. Intuitive Heart…or… I DIDN’T KNOW THAT! Just what izzat, terzackly? Well, fortunately there’s an app for that. On the dictionary app on my phone, I looked it up. Intuition – direct perception independent of any reasoning process. Heart – 1) capacity of sympathy/empathy 2) the center of emotion 3) spirit, enthusiasm, courage. Over the past few months, I’ve been on a healing and personal journey that taught me a lot about myself and human nature in general. And it has indeed been eye-opening. This past Wednesday evening, I started a class at the Human Potential Center on Building Healthy Self-Esteem, and I’m everso excited. As someone who started looking deeply inward when I was about 25, seventeen years ago, it is no news to me that the foundation of many of my issues and shortcomings and fears (especially fears) are based in my lack of healthy self-esteem. Self-esteem is something that is gifted to a person in childhood. Or, in far too many cases, isn’t. After one hits puberty without it, they’re pretty much on their own. Healthy self-esteem can be the difference between success and failure. Seriously. Especially in one’s own mind, which is really where it counts. Even if the world sees you as a success, one word from a critic can cause you to crumble. That’s low self-esteem. 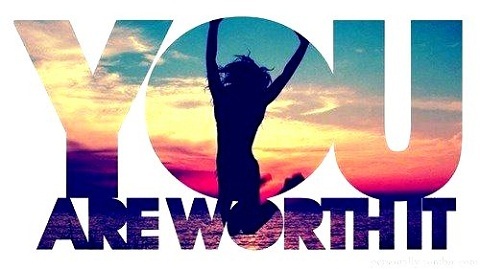 Feeling the value of healthy self-esteem is like realizing the value of having health insurance. Having access to good health insurance can comfort your worries about finding help when feeling ill, give you access to trained professionals that can offer you sound advice as how to best handle health issues, and offer a sense of security that can help make health-related decisions easier. Like health insurance, healthy self-esteem can keep you protected from people and circumstances that trigger your self-doubt, or self-criticism.and prompt you to seek help or advice from others, including trained professionals, when an event in your life conflicts with your self-image. Healthy or high self-esteem has, in the past, been described as a way to reach great material success or have the ‘perfect’ life, or in terms of a way to approach life to get the relationships or achievements you desire. 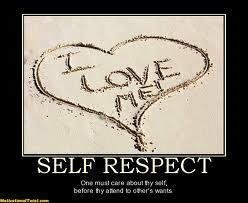 Self-esteem isn’t a lot of times talked about in a light that makes self-esteem a personally fufilling trait to have and to nuture or maintain. What is self-esteem? There are a few different theories. A woman at the Video Discussion the other night, said that when she feels her passion, her self-esteem goes up. I asked her if that was the only time her self-esteem was high. She couldn’t tell me. Self-esteem is not one of those things that come and go with an accomplishment, a win, or with passion. Self-esteem is more of a foundation upon which we build our self-image and our confidence. We may have more confidence in one thing more than another; i.e., relationships vs. business transactions. When one gets a rush of confidence, it can be like a sugar rush. Up and down. Up and down. Up and down. When we have a success, our confidence goes up, which may then increase our self-esteem, making the foundation stronger. Self-esteem lasts all of the time, 24 hours a day. That would be my preferred definition, and it is not always easy to make the 24 hour self-esteem a reality. It takes work. Eleanor Roosevelt. What a gal! Not just the wife of Franklin D., but a great thinker and wise woman in her own right. What follows are a few of her gems. A) Say, “Thank you for your opinion,” and walk away.